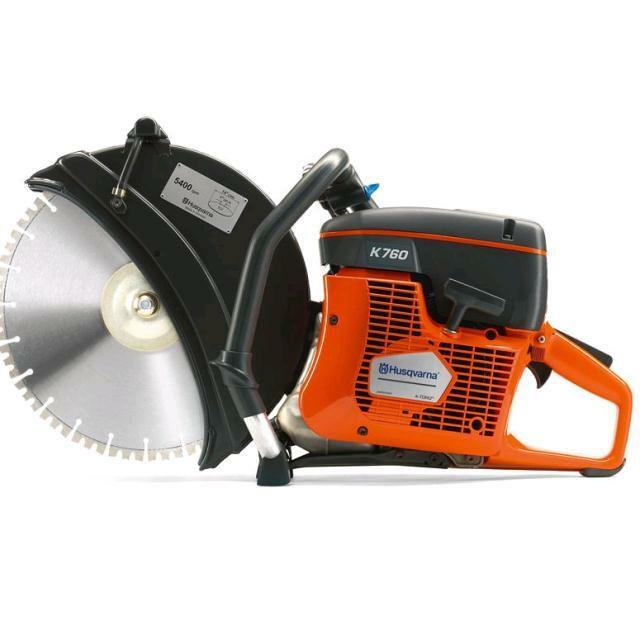 Husqvarna high torque engine for optimum cutting performance in concrete, asphalt, steel, pipe, rebar or pvc pipe. 50:1 mixed fuel tank capacity 20 fl. oz. * Please call us for any questions on our saw concrete 14 inch hand gas k760 husky rentals in Portland OR, Gresham OR, Milwaukee OR, and surrounding metro area.